Americans celebrate the Fourth of July and the French have Bastille Day. 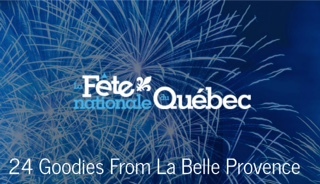 Québecers celebrate their national holiday, originally Saint-Jean-Baptiste Day, on June 24th. In honour of La Fête nationale, I decided to have a little fun, and list 24 good things that came from la belle provence of Québec. From rural diners in the 1950s, this combination of French fries, cheese curds, and gravy reached gourmet status when Montreal chef Chuck Hughs won Iron Chef with his lobster poutine. A vital inland shipping link, the Seaway, a series of canals and locks, connects the Atlantic Ocean with the Great Lakes. Discussions are taking place to expand the size of the locks to allow for larger container ships. The legendary Canadiens! Along with impressive stats such as 24 Stanley Cups and 36 players in the Hockey Hall of Fame; the Habs distinctive jersey features prominently in Roch Carrier’s beloved story, The Hockey Sweater. In the 1930s Bombardier created his “machine that floats on snow” to get around in the winter on unplowed roads . The original multi-passenger utility vehicle he built gave way to the recreational “skidoos” we see today when the province made snow-clearing mandatory. The planes and trains of today’s Bombardier trace their roots back to the snowmobile – how Canadian. Founded in 1984 by a group of street performers, le Cirque du Soleil has become a global brand with a combination of touring shows and residencies in the world’s entertainment capitals. Their compound in Montreal is also home to a circus school. Crocs, intended as boat shoes, were developed in Québec at Foam Creations. 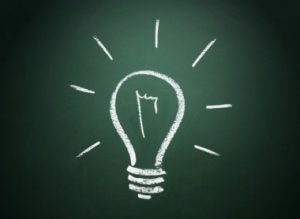 Two entrepreneurs purchased the company and its patents in 2004. Today the multicoloured footwear, considered frumpy by some and fabulous by others, has become ubiquitous. One of the most famous fans is chef Mario Batali, who favours the orange ones. Yes, Captain James T. Kirk is one of ours. Born in Montreal, William Shatner is going strong over 50 years after first donning the Starfleet uniform in 1966. On Star Trek he may have gone where no man had gone before, but this graduate of McGill University, is one of a long line of Canadian actors who sought their fortunes in Hollywood. Hard to believe, but the dean of literary criticism was called “Norrie” by his friends. Born in Sherbrooke, Northrup Frye’s work influenced greats such as Margaret Atwood and Harold Bloom. He spent most of his career at Victoria College at the University of Toronto, now home to the Frye Centre. Many regions have their own special patois, but we Québecois have our own unique blend of French and English. English speakers raised in Québec will forever refer to the convenience store as the “depanneur”. When French Québecois are in a hurry they feel “rusher” or should that be “rushé”? Mordecai Richler mined life on Montreal’s “Main” to create unforgettable rogues like Duddy Kravitz, Joshua Shapiro, Solomon Gursky, and Barney Panfofsky. Between literary efforts, he was frequently a thorn in the side of the political establishment. Long before Justin Trudeau and his sunny ways captured Canadians’ attention, his father Pierre, turned heads. Roaring up Parliament Hill in his convertible, wearing turtlenecks, and occasionally sandals, he transformed our country. Youppi is the only mascot to switch leagues. Longtime cheerleader for the Montreal Expos baseball team, he transfered his allegiance to the city’s hockey team, the Canadiens, in 2004; the Expos relocated to Washington, D.C., and became the Nationals. Youppi was designed by the creator of Miss Piggy, and he is only one of three mascots to be inducted into the Baseball Hall of Fame. If the Expos return to Montreal, he could be very busy. Her work ethic, grace under pressure, and dedication to her family impress even the harshest critics of her performances. Adored in Québec, the young Céline found fame in Europe as the winner of the 1988 Eurovision Song Contest, before her titantic success in the US. Musicians from all over the world, newcomers and headliners, perform in concert halls, intimate venues, and on outdoor stages in city’s entertainment district. The Montreal International Jazz Festival, had a modest beginning in 1980 with 12,000 attendees enjoying performances by Gary Burton, Ray Charles, Chick Corea, and Vic Vogel. Today over 650 concerts draw some 2.5 million visitors, making it the world’s largest jazz fest. Trailblazing hockey goaltender Manon Rhéaume was the first woman to play in the NHL. She was in the net for exhibition games with the Tampa Bay Lightning in the early 1990s. She also played on the Canadian’s Women’s National team earning a gold medals at the IIHF Ice Hockey Women’s World Championship in 1992 and 1994. In yet another career highlight, she took home a silver medal at the 1998 Winter Olympic Games in Nagano. Astrophysicist and science communicator Hubert Reeves makes his home in France now, but was born, educated, and taught for a time in Montreal. A true renaissance man, besides his scientific work, he found time to collaborate with major musical ensembles as narrator for pieces such as Peter and the Wolf, The Four Seasons, and very appropriately, The Planets. Singer, songwriter, musician, poet, novelist, and painter, Leonard Cohen was born in Montreal. He began his career as a writer in the early 1950s, moving on to music in 1967. His best known song, Hallelujah, was released in 1984. He was inducted into the Canadian Music Hall of Fame, the Canadian Songwriters Hall of Fame, and the Rock and Roll Hall of Fame. The first St. Hubert BBQ restaurant opened on Saint Hubert Street in Montreal in 1951. It was the first to offer free delivery. In 2005, St-Hubert marked another first when it voluntarily became the first restaurant chain in Québec to ban smoking inside its restaurants. The dynamic Montreal-born conductor counts former Montreal Symphony Orchestra Music Director Charles Dutoit as his inspiration, and the great Carlo Maria Giulini as his mentor. Yannick Nézit-Séguin‘s first music directorship was with Montreal’s Orchestre Métropolitain beginning in 2000. Appointments with the Rotterdam Philharmonic, the Philadelphia Orchestra, and most recently, New York’s famed Metropolitan Opera followed. In 1983 the Just for Laughs Festival debuted as a two-day French language event. Two years later, English comics were on the program, of what has become the world’s largest comedy festival. Victor, the Festival’s impish green mascot was created by Vittorio, and later revamped to resemble Just for Laughs founder Gilbert Rozon. Long before Jessica Paré shimmied her way through Zou Bisou Bisou on Mad Men, Geneviève Bujold was the sweetheart from Montreal. Best known for Anne Boleyn in Charles Jarrott’s film Anne of the Thousand Days, opposite Richard Burton, she won a Golden Globe Award, and earned an Academy Award nomination for her performance. In 1988, Bujold appeared opposite Jeremy Irons in David Cronenberg’s psychological horror film Dead Ringers. War correspondent, reporter, politician; the mercurial founder of the Parti-Québecois, René-Lévesque left no one indifferent. I wonder if people would respond his passion and rumpled charm today. The founder of Caisses Populaires Desjardins, Alphonse Desjardins was a journalist and publisher. Concerned about predatory lending practices led him to open the forerunner to American credit unions and community banks. Today, the Desjardins Group is largest cooperative financial group in Canada with over $258 billion in total assets. Engineer, astronaut, and role model, Julie Payette spent 25 days in space. In 1999 as mission specialist on board the Space Shuttle Discovery to the International Space Station (ISS), she became the first Canadian to board the ISS. Her job was to operate the Canadarm. After various roles at NASA, she returned to ISS in 2009 aboard the Space Shuttle Endeavour. Back on earth she is involved in science outreach, and the Olympics. This is 2017’s list. Please contact me if you think I missed an important person, event, or invention. Maybe I’ll do this again next year!